Lewes De Real Estate homes for sale can be found on this page and are MLS searched and updated daily compliments of Lewes RE/MAX Real Estate Agent Joe Bowski . 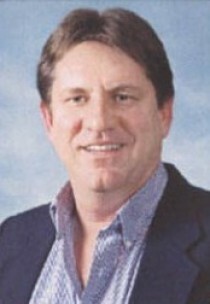 Contact Joe a RE/MAX Lewes Beach Real Estate expert for buying or selling your Lewes Beach Real Estate. NOBODY SELLS MORE REAL ESTATE THAN RE/MAX!!!! Lewes De Real Estate surrounding area Trails Of Beaver Creek ,located in Harbeson, Delaware, just south of historic Milton. 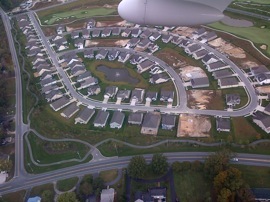 The Trails of Beaver Creek is a beach home community consisting of single family homes being built by Ryan. N/V, and or Bryton homes. The location is ideal for retirees, second home buyers, and even families. The Trails of Beaver Creek have only a few lots left to be built on, however there are a few resales. Foreclosures do occur due to the developments age and exposure to the economy.The proximity to Lewes and the route 1 corridor provides all the necessities like tax free shopping. Cape Henlopen State park, and Beebe medical Center. Close enough to all the attractions but far enough away to avoid the congestion. The Trails of Beaver Creek beach homes therefore have many different models and price points. Some of the most recent sales have been in the mid $200k, for a 3 bedroom , 2 bath home with moderate upgrades. There are homes exceeding 4000 square ft to under 2000 square feet in the community. Prices will go into the high $400ks for the larger models. . The community pool and club house , and several large ponds with fountains provide a beautiful setting for the community. Some of the school boundaries run thru the community and some homes have options on school selection. See your Trails of Beaver Creek home featured here! 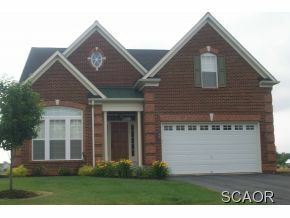 LISTED FEATURED AND NOW SOLD!!! BY JOE! This was was built by N/V is the Bornquist Model and has granite counters, hardwood floors, stainless Steel appliances, full basement and its own irrigation well and system. 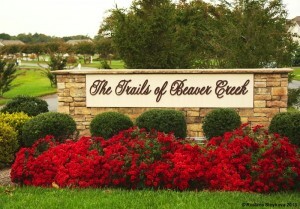 Trails of Beaver Creek homes have spacious lots and is one of the best buys per square foot this close to the beach. These homes are perfect for the buyer looking for that future retirement home and still get vacation use as an added bonus.The home on the left is a Bornquist model built by N/V homes.